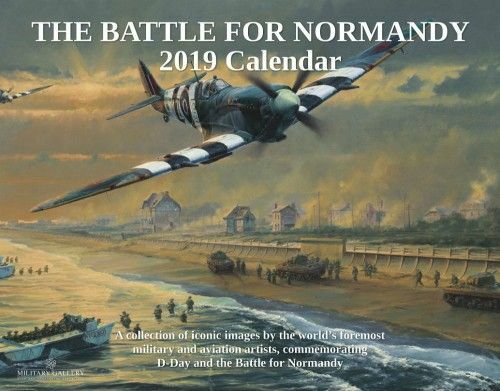 A collection of images by the world’s most widely collected Aviation and Military artists commemorating D-Day and the battle for Normandy. Including work by Robert Taylor, Anthony Saunders, Gerald Coulson, Richard Taylor and Simon Smith. A FASCINATING TIMELINE OF THE MAJOR EVENTS OF WWII A detailed reminder of notable events of WWII, all clearly displayed on the date they occurred. NEVER FORGET AN APPOINTMENT Every date box provides generous space for your own notes and memos. FULL COLOR & PREMIUM QUALITY 12 double-page spread month-by-month pages in full color with a high gloss varnish cover.